The museum is named after the family Van Loon that lived in the house from the 19th century. The canal house where the museum resides was built in 1672, and served as the home of artist Ferdinand Bol. From 1884 to 1945 the Van Loons lived in the house. 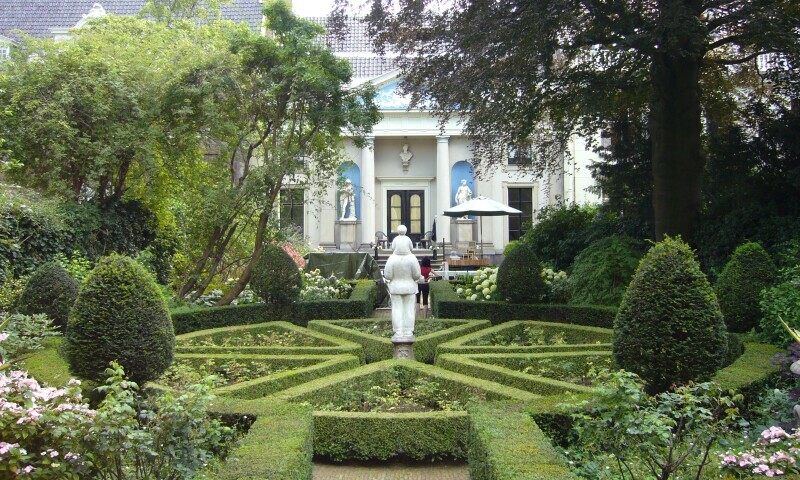 Thora van Loon-Egidius, who lived in the house, was a lady-in-waitingfor Wilhelmina of the Netherlands. The interior of the house has been renovated, and appears reminiscent of its look in the 18th-century, with wood paneling and stucco work. The upstairs features several paintings of Roman sports figures and a bedroom that is decorated with a Romanticism period painting of Italy. The house also has fake bedroom doors: the 18th-century owners desired to have symmetry in the interior design so they painted the real bedroom doors to match the walls and fake doors to appear real in a location where one would assume a door would be.